We are a client focused law firm providing litigation and transactional legal services to individuals and businesses. In addition to business bankruptcy, collections, and commercial litigation, we handle a variety of legal matters. 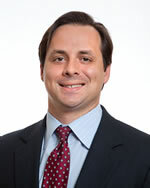 Courts regularly appoint Peter C. Ruggero as a post-judgment Receiver under the Texas Turnover Statute, Chapter 31 of the Texas Civil Practice and Remedies Code.